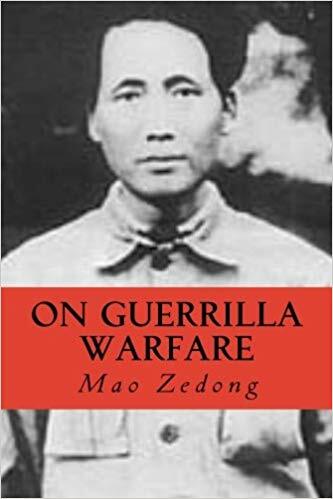 I recently reread Paolo Freire's The Pedagogy of the Oppressed and I was reminded why I put On Guerilla Warfare on this list. During my junior year at University I studied abroad in India for a semester, at Cochin University in Kerala. I was getting a major in Computer Science and a minor in Comparative Religion and to me it made sense to study in India. I figured it would be a good place to do both. Both books are essentially instruction manuals on how to conduct a guerrilla insurgency against a more powerful and resourced opponent. Both men had done so successfully at different times in history, in different parts of the world, and these were their guides to repeating their successes. They go into considerable length on the importance of morale, supplies, hit-and-run tactics, and other typical strategic considerations one should consider when conducting an insurgency. What sets them apart, and the reason they're on this list, was their recognition that the tactics and behavior of a successful insurgent must be rooted in the will of the people that the insurgent is fighting for. They both drill into the reader the single minded importance of; if you are going to fight for the oppressed you must become one with the oppressed. Your strategic thinking, your tactics, your behavior down to the last foot soldier must not only be respectful of the people you're fighting for, but must represent their will. You cannot fight a war for the people and not be of the people. This message stayed with me. Not because I plan on launching an insurgency anytime soon, but because I think it was the first time I really grasped what it meant for ones' actions to fundamentally represent their ideology, and what in their eyes it meant to be a true revolutionary. Both men recognized that the real revolution was not fought with guns, but inside the minds of the fighters and the peasantry. Both men also recognized it was necessary to bind behavior and ideology together, and ground them in the will of the people as a social inoculant against revolutions morphing into personality cults. Guevara weighs in heavier on this point than does Zedong. Probably because Zedong found more use out of his personality cult than did Guevara, regardless of what t-shirt sales of Guevara's face might argue otherwise. Which brings us back to Paolo Freire and The Pedagogy of the Oppressed. 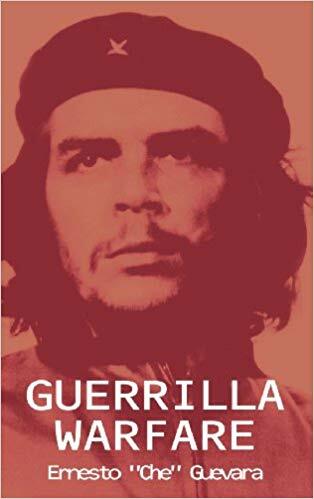 A book that was heavily influenced by the Latin American socialist revolutions of the 1960's and 1970's and also Catholic liberation theology. Freire is interested in bringing about a revolution in the minds of people through education. And like Guevara and Zedong, he believes that the true revolutionary battleground exists in the mind. That a slave will always be a slave until they're capable of viewing themself as fundamentally human. "Write about this man who, drop by drop, squeezes the slave's blood out of himself until he wakes one day to find the blood of a real human being--not a slave's--coursing through his veins." Also like Guevara and Zedong, Freire's educational methods are wrapped up in his desired outcomes. Methods and outcomes are inseparable and must remain rooted in the will of the pupil. All three books are important reminders that one cannot adopt the methods and behaviors of one's ideological adversary and expect them to map effectively to a different ideological outcome. If you wish to bring about a specific outcome you must adopt methods and behaviors that embed that outcome in your praxis. Or, like the pithy line often misattributed to Mahatma Ghandi, "Be the change you wish to see in the world."